Get an affordable new smile in two visits! One of the cosmetic services Dr. Christensen offers is life changing for some people because it gives them back the confidence to smile. Snap-On-Smile is an easy way to get a great smile. Dr. Christensen creates teeth that are made of thin but strong high-quality resin to snap on over your own teeth. Dr. Christensen will use his artist’s eye and cosmetic dentistry experience to make sure your Snap-On-Smile looks like natural teeth. You can drink and even eat with your Snap-On Smile. It’s easy to care for and can be either a permanent or temporary cosmetic solution for upper and lower teeth. It fits right over your own teeth, literally just pops right into place, to give you a beautiful, natural looking smile—even if you have stains, chips, gaps or missing teeth. Snap-On Smile is an affordable dental solution and requires just two short, painless visits. There won’t be any drilling, shots or change in tooth structure. With proper care, a Snap-On Smile can last from three to five years. 3. You come back in about three weeks for a final fitting and you wear your Snap-On Smile home! "I loved how quick and easy the entire Invisalign process was. 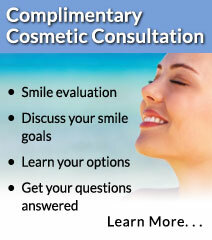 The entire staff made every appointment quick, easy and painless. 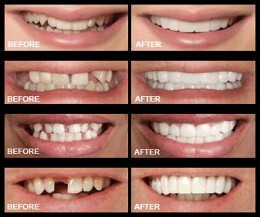 I was so pleased with the results and received lots of compliments on my teeth and smiles."